A generation raised on the British Empire confronted the unexpected horrors of modern war. Never were a nation's expectations so different from the coming clash of the First World War. Expecting a vigorous romp to victory, soldiers endured a brutal quagmire. Presenting letters & diaries of soldiers themselves, many unseen for nearly a hundred years, Smith allows men from Field Marshall "Douggy" Haig to plain Private Smith to have a clear voice. With enough narrative to recall how the Great War unfolded, a wealth of vivid detail brings the miserable life in the trenches back to life. What began with high hopes and horses ended with disillusion and tanks. 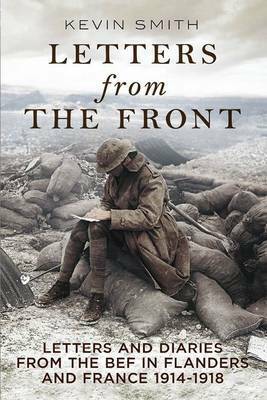 From the build up at the beginning of the war until the immediate post-war reduction, Letters from the Front: Letters and Diaries from the BEF in Flanders and France 1914-1918 is enlivened with fascinating details and makes a moving, entertaining and informative read.